Southwold artist Serena Hall opened her gallery in Queen street after years of selling directly from her studio. She has now been in this location for 20 years. She celebrates 25 years of painting Southwold this year. Serena works with a great team of people and we are all passionate about our customers, Southwold and our amazing artists. Please do not hestitate to contact us, we are always happy to help you. We have been providing the Own Art scheme for many years, very successfully. Please do email us or call us to find out more. We now have gift vouchers available for you in any amount you wish. 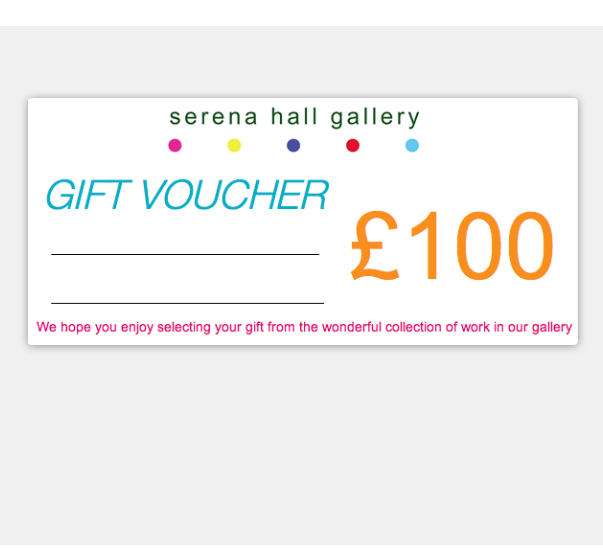 Simply let us know what you would like to give and we will send you or your friend a free gift card with the vouchers. You can also buy them online. We have worked with many happy couples over the years to provide a wedding list for their big day. It is very easy and simple. Just let your family and friends know your wedding list is registered with The Serena Hall Gallery and let us do the rest!